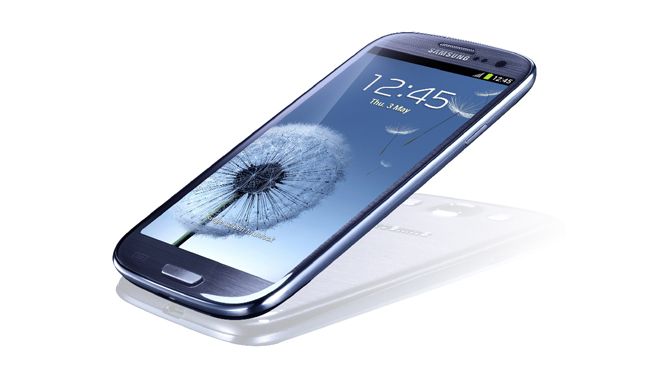 Samsung’s 2012 flagship phone: Samsung Galaxy S III is launched to unprecedented fanfare today. The $899 priced smartphone is the first mobile phone from Samsung that is with a powerful quad-core processor, an 8-megapixel camera, near-filed communication chip and 4.8-inch HD Super AMOLE touchscreen which is amazing for you to convert video to Samsung Galaxy S III for appreciation. “This is the best-in-class smartphone in the world which we are confident will break new ground in the business.” Statement from Samsung Asia Pacific president Gregory Lee indicates that this new flagship is going to enhance the current leadership in smartphone sales, for Samsung Galaxy S II has been a success. “This is a phone that sees, a phone that listens, a phone that follows our actions.” Telecommunication vice-president Tyler McGee remarks this phone as a more intuitive handset, because not only improvements have been made to its hardware, but also the software has been added something new to. The new features added to software including facial recognition for your photos, a screen that tracks open eyes to keep the screen on, voice commands to wake the phone and other tasks, and the ability to share videos between phones by touching them. Samsung Galaxy S III will be available from Vodafone, Optus and Telstra, and the 16GB version will cost $899 outright. Since there is rumour that Apple is bound to debut a new generation iPhone 5 later this year, it is for sure that Samsung Galaxy S III will be taken to complete with Apple. And another advantage for Samsung is that rumour saying that the new generation iPhone 5 will not make a debut until October, so Samsung can seize the opportunity to promote the new flagship. Apple is going to hold WWDC 2012 in Moscone West convention center, San Francisco, from June 11 to June 15. 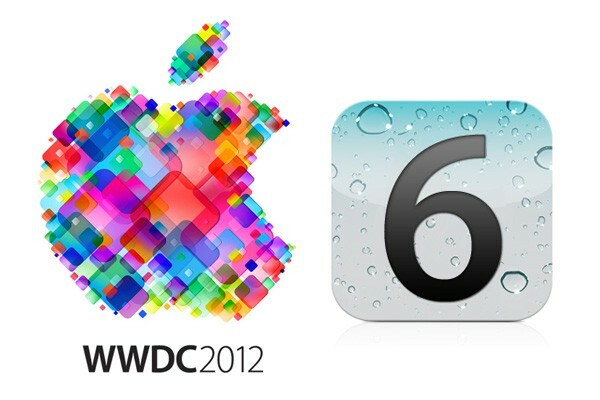 The latest generation iOS6 operating system is likely to be released. And with the scheduled time drawing nearer and nearer, some rumors about iOS6 have flooded the Internet. And in the following there are top 10 iOS6 guesses. Since the advent of iPad, consumers keep complaining about the multi-user support insufficiency of iOS system. iPad users will often meet with such condition that they and their family members or friends are using iOS at the same time, so that private mail, important documents will be directly exposed in front of others. Even favorite individual settings are often modified by others which will bring inconvenience to users to some extent. But the recent official reply from Apple to developers in E-mail clearly stating that multi-user support is actually one of the problems of iOS, and engineers are working for it. This is absolutely a piece of good news for the masses of users. It is believed that the problem will be solved in the upcoming iOS6. Social network plays a more and more important role in our daily life. For many young people they cannot live without social network for a single day, of course, this phenomenon is well known by Apple so it has integrated Twitter into iOS5. The foreign iOS users hope Apple will integrate FaceBook to iOS6, and for Chinese SNS users, they hope their social network will be integrated into iOS6. Siri voice control function has been released at the same time with iPhone 4S, but it has not been transplanted to iPad, the language support is also limited, and it is with single function not so practical actually. Now Siri is more like a stunt and it is hard for it to bring convenience to users. In iOS6 system, multi-language support will be added and Chinese will be the first option. Siri should be integrated into iOS so as to send E-mail, to check the weather, search for content, run WiFi, and so on, so that to make Siri become a real voice assistant but not just a toy. It is impossible to open multiple windows on iPad at the same time, but it is also the function many users are eagerly looking for. It will increase work efficiency as well as bring great convenience to users. It is quite complicated for iOS users to enable a function, so lots of users will choose to install plug-in via jailbreak, so as to fast enable or disable these functions. So it is quite reasonable for Apple to add shortcut switch to new iOS6 system. We all know that when you download the applications on App Store it will jump to the main screen directly. So when you want to download many applications you have to go forward and backward for many times. So App Store Shopping Cart is recommended to avoid this complicated process. Google’s Android system has brought sharp impact to Apple and Google is also one of the biggest rivals of Apple, but Apple products like iPhone and iPad have adopted Google Map for quite a long time, so it is possible for Apple to abandon Google Map. In fact, Apple has purchased C3Technology whose technology can support 3D map imaging at the end of last year. It is likely that Apple will bring 3D iMap to iOS6. Setting trick lock for app is the best way to solve problem about privacy revealing. But only third-party developers will set password option for app so far. If your App password can be added to iOS6, it will protect user privacy much better. The main reason iOS system will be questioned is that its functions are too simple and the operating process is too complicated. We are expecting iOS Notification Center will make a great improvement. The most anticipated feature will be adding Style Box Keyboard to iPhone. To achieving mutual switching between Style Box Keyboard and Full Keyboard in iOS6 will surprise users a lot. Although HTV has given up the phone sea tactics, in order to win more market shares it keeps developing low-end phones with certain enthusiasm. According to media reports, this phone is going to make a debut in the name of HTC Desire C.
You may be quite familiar with HTC Desire C. Its development code name is HTC Golf and the official images have been released on the internet. According to the statement at that time, the official name will be HTC Wildfire C.
ITProPortal exclusive news says that this smartphone will be classified to HTC Desire Series, the official name is HTC Desire C. The main characteristic of it lies in that it adopts the template of HTC One V, and then reflecting the differences in positioning via the reduction of some hardware configuration. There are not many outstanding points in the hardware configuration of HTC Desire C because of market positioning and cost control. It is equipped with 3.2-inch HVGA SLCD touch screen (convert video to HTC series large screen for watching), of course the display effect is far behind the medium and high-end models. Even so, the Android4.0 system and new HTC Sense 4.0 interface are applied to this phone, which will bring you with new landscape mode. Simultaneously, the new UI also has the improved 3D task switching and inform functions. And in order to gain more fluid control experience, HTC Desire C is also with 1GHz mononuclear processor but the model remains unknown. As for other functions, it is similar to HTC One V: 4GB ROM, 512MB RAM and 5-million-pixel camera. However, due to market positioning this phone does not have BSI photographic components and F2.0 large aperture lens, but functions like automatic focus can fulfill daily needs. 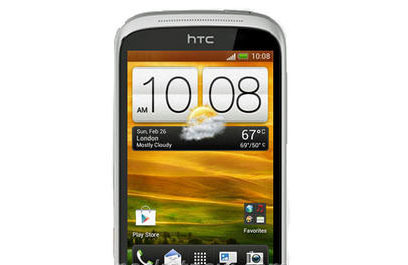 Other functions of HTC Desire C are complete, functional and in place. It not only supports WCDMA/HSDPA network, Wi-Fi, Bluetooth3.0 technology and more wireless connection functions, but also functions like GPS navigation, memory card expansion are included. In addition, because HTC has reached cooperation with Dropbox, users can get two-year 25GB online space. Although the release date of HTC Desire C has not been confirmed, it is said that this phone will be put into the market in June, with price 100 pounds only. 2012 Mother’s Day is just around the corner and if you haven’t thought of any Mother’s Day ideas to say “Thank You” to your only and beloved mother, then I will provide you with good stuff—music, to let the songs speak out “I Love You” to your dearest mom. How to implement this? Here I suggest you to make ringtone from some Mother’s Day Songs, so when you mother call you she will hear the beautiful tunes especially for her. Where you can find out the songs for Mother’s Day? I have collected some from YouTube, you just need to download online videos and create ringtones from these songs. At the end, I hope you the idea will do you a favor. 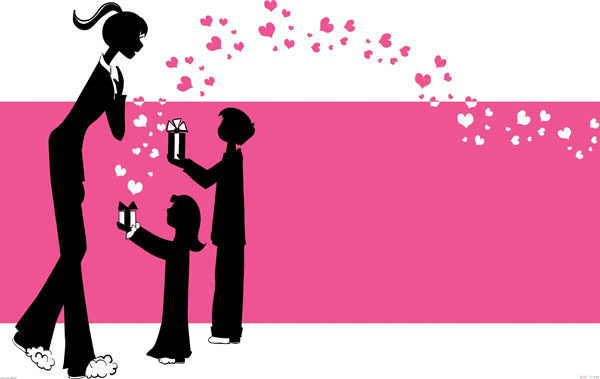 And enjoy Mother’s Day 2012 with your mother, buddies! Wish all MOMs a happy Mother’s Day. Sony Mobile announced two LTE handsets: Xperia GX and Xperia SX, which are said to make a debut this summer in Japan. 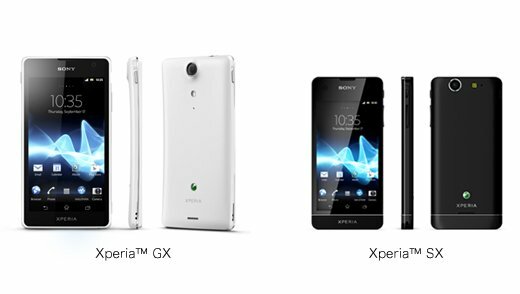 On the exterior, both Xperia GX and Xperia SX continue the delicate style. It is possible that Xperia GX will be launched as LT29i model and put into the international market, while Xperia SX will be promoted as the lightest LTE smartphone. Xperia GX is the first LTE-supported smartphone of Xperia series in Japanese market. Its connection speed can be as high as 75Mbps, with 4.6-inch HD screen and Mobile BRAVIA Engine technology is included. What worth mentioning is the camera function, it is equipped with up to 13-million-pixel Exmor R for mobile sensor that enables you to easily obtain even Full HD image. Walkman player is also included in Xperia GX. In addition, this smartphone stresses high-quality audio experience, covering Clear Stereo, Clear Bass, manual EQ and VPT surround sound, besides, xLOUD technology is supportable. These music functions are almost the same with the international edition, but the Walkman program has not been named yet. In addition, the appearance design is a great characteristic of Xperia GX. Arc-shaped design makes it easy and convenient to be carried with and the ground material ensures perfect handheld feeling. It is with 1.5GHz dual-core processor, Sony has not pointed out that this processor is the same Qualcomm S4 CPU of HTC One XL officially, but it will perform better than any of the existed Xperia series phones. This phone has 16GB of memory, 1GB RAM and 1700mAh battery. 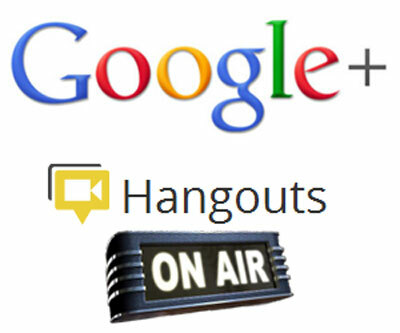 It will adopt Android 4.0 ICS system when it is put into the market. Bedsides Qualcomm Snapdragon S4 MSM8960 dual-core 1.5 GHz processor and 1GB RAM that are the same with Xperia GX, Xperia SX is also with 8.1-million-pixel main camera and 1.3-million-pixel front-facing camera. Firthermore, Xperia SX is the lightest LTE smartphone all over the world so far, with 95g weight and 115 x 54 x 9.4 mm compact appearance.